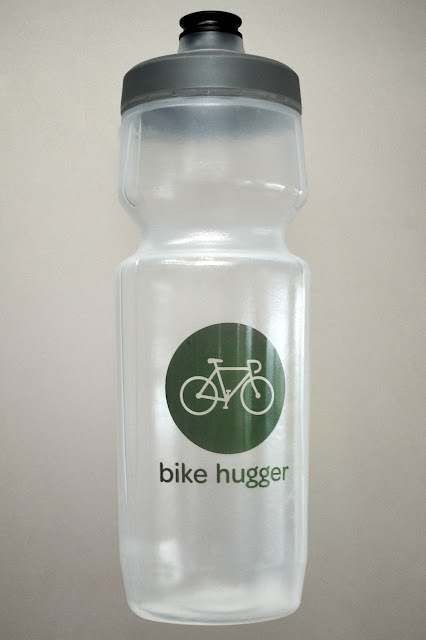 Our new Bike Hugger Purist bottles are now available on Amazon.com for $14.99. 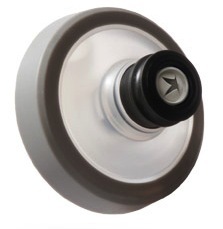 The Purist is Specialized’s easy-to-grip, squeeze, no after-taste water bottle with the self-sealing heart valve. I tested these bottles a few weeks ago and liked them so much, we decided to have a run made with our logo on the front. The best feature is the leak proof valve that flows when you want and stays closed tight when you don’t. The bottle is 22 oz, BPA free, and made with food-grade LDPE #4. It’s also dishwasher safe**. 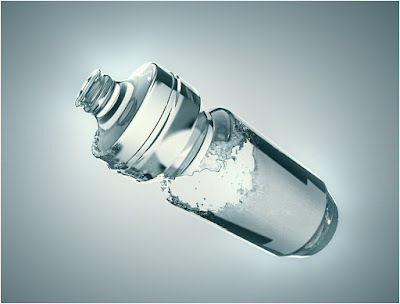 The bottles is infused with silicon-dioxide to deliver the pure taste. You can read about the tech on the Purist website. Put simply, odors, stains, and mold build-up slides off the plastic and not onto your tongue. Have you ever wanted a bottle more? A fifteen dollar water bottle, really? Yep and if you’ve got doubts about the spend for what we’ve dubbed, “a magical decanter,” we’ll give you your money back and the shipping. It’s the best bottle I’ve ever used and why I’m stocking it in our store. These bottle ship from Amazon.com. **Purist bottles are very soft. We recommend you wash them on the top rack of the dishwasher and if they lose their shape from the heat, you can squeeze them back together at the mouth. Next Next post: Time to pack it up..